Cardiff is the largest city and the Welsh capital, and is the UKs ninth largest city. With its rich history and abundance of tourist attractions Cardiff is the most popular tourist destination in Wales with over 18 million visitors each year and Cardiff is ranked at 6th most popular tourist destination. Cardiff is in the county of South Glamorgan and is part of the Euro cities network of large European Cities. Following the arrival of industry the area was responsible for the distribution and transportation of coal. Cardiff became a city in 1905 and the capital of Wales in 1955. Since the early 1990s Cardiff has undergone immense development. Cardiff Bay has a new waterfront area, the Senedd Building which is home the Welsh Assembly, Wales Millennium Centre arts complex. The development is on going with a planned International Sports Village, a new Business District and BBC Drama Village. The Millennium Stadium is the national stadium for Wales National Rugby Union team and Wales National Football team. Cardiff was awarded as the European City of Sport in 2009 for hosting major international sporting events and will receive this award again in 2014. Cardiff is surrounded by rolling hills and was once the largest coal port in the world with its easy access through the valleys to the coal fields. It has a rich history and an abundance of landmarks and interesting places to visit which include; the Welsh National Museum, National History Museum, Llandaff Cathedral. The city’s main tourist attraction is Cardiff Castle and is situated in the city centre. The city plays host to many festivals, concerts, musical performances, cultural events, fairgrounds and rides. The city plays host to the free annual Children’s Festival that is held in the grounds of Cardiff Castle and attracts over 200.000 visitors. 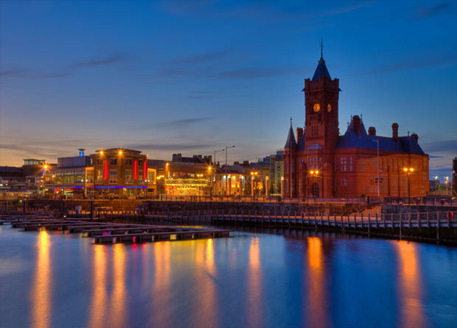 Cardiff provides excellent recreational facilities with modern bars and restaurants, extensive parkland, shopping centres, rivers, a popular boating lake, nature reserve and country park. There are plenty of shops ranging from High street stores, traditional shops selling local produce, to designer shops offering something for everyone. 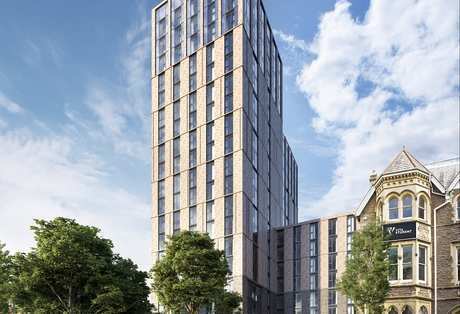 Cardiff is a thriving city with a lot to offer and therefore an ideal opportunity for property investment in Cardiff in the buy to let property market. 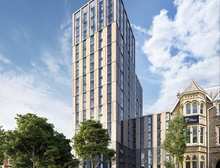 Introducing Vita Student Cardiff, a purpose-built student development located in the city centre of Cardiff.